Four people are now dead after a crash Sunday night in Frostproof. Around 10:15 p.m., a 29-year-old Avon Park man is believed to have lost control of his Dodge sedan on southbound U.S. 27 between County Road 630-A and U.S. 98, according to the Polk County Sheriff’s Office. 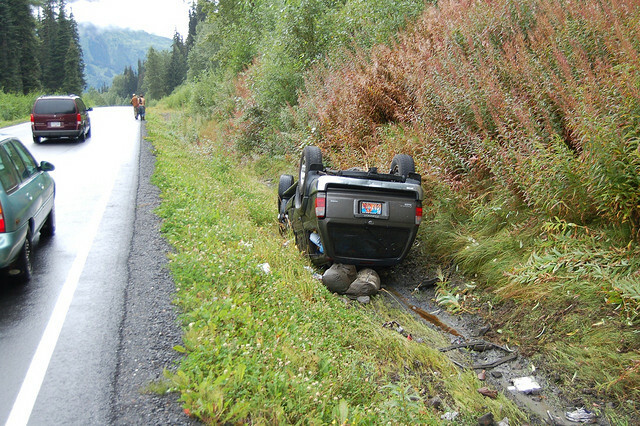 The Dodge exited the roadway, struck a concrete culvert and came to rest in a drainage ditch. First responders found two passengers dead: a 38-year-old Frostproof man and a 28-year-old Eustis man. The driver and another passenger, a 33-year-old Frostproof man, were airlifted to Lakeland Regional Health. One man passed away the same day and another died Monday. Police believe a second car may have been involved. They suspect a 1990s black Honda with a light-colored left-front fender may have been in the area. The car would have been heading south on U.S. 27. Anyone with information about this vehicle is asked to call Deputy Sheriff Johnnie Wombles at 863-297-1109. Across the United States, on average, a person dies in a car accident every 12 minutes. Car accidents are the leading cause of death for all people under 35. Most auto accident fatalities are entirely preventable, resulting from driver negligence. When one driver’s negligent actions behind the wheel causes the death of another person, survivors of the victim are entitled to make a claim for financial compensation for the wrongful death of their loved one. While no amount of money can compensate for the loss of a human life, making a wrongful death claim for an auto accident fatality is not really about the money, it’s about accountability and making careless drivers face up to the tragedy they have caused a family. Nothing can bring the person back, but holding the wrongdoer accountable can be of some comfort and possibly prevent future similar accidents. To make a wrongful death claim when you have lost a family member in a fatal Polk County car crash, you should engage the services of a Florida Wrongful Death Lawyer at Whittel & Melton. Protect your rights by calling us today at 866-608-5529 to arrange your free consultation.